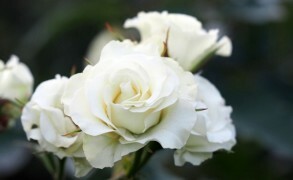 “Aldehydic mist on white petals” immediately predisposes one to think of fragrances like Chanel No. 5 (1921) and Lanvin Arpège (1927). Just like Coty Chypre (1917) and Guerlain Mitsouko (1919), itself an offspring of Chypre, set the gold standard for the variation on the chypre genre, Chanel No.5 with its cocktail of aliphatic aldehydes, reminiscent of metallic dust and candle wax, became the inspiration for many aldehydic florals. However, Véga is a Guerlain, both in its joyful rendering of the chilly aldehydic theme and the vanillic warmth pervading its elegant form. As it smiles through the radiant veil of flowers, Véga makes sweet promises, many of which it fulfills. I understand that the next ones to be resuscitated are Sous Le Vent (1934), a vivid green chypre hiding a delicate jasmine heart and Ode (1955), an opulent bouquet of rose and jasmine, the last fragrance composed by Jacques Guerlain and the first by Jean-Paul Guerlain. Orange blossom and ylang ylang soften metallic chill of aldehydes with their honeyed luminosity. Scattered through the white floral bouquet are the dark rose petals. The dewy character of flowers begins to fade as the vanillic sweetness rises gently from the base. The flowers nevertheless preserve a delicate quality, and the lacy floral accord sustained elegantly over the rich woody base presents a vision of a dancer in an arabesque. The smooth as satin sandalwood is accented with vanilla and amber, yet the coolness of vetiver balances out the sweet warmth. A crisp touch of rosewood is another beautiful counterpoint that preserves the graceful arrangement of Véga. For the lovers of the classical Guerlain fragrances, Véga will be an interesting discovery, because it bears a mark of Jacques Guerlain, both in the sweet tonality of its woody base touched by darkness and in the softness pervading the composition. Véga’s aldehydes are softer than those in either No.5 or Arpège as well as in another Jacques Guerlain aldehydic creation Liu, which makes it easier to wear. Nevertheless, it cannot be mistaken for what it is, a classical aldehydic floral. I doubt it shall convert those who do not care for this genre, however its fans will be delighted. The fragrance is exclusive to 68 Champs Elysées boutique. Prince Barry: A lovely review to brighten up a dark and dreary Monday morning. julien: I have had the privilege of smelling it. For me this perfume is the perfecr selfish perfume…i mean,like Mitsouko,you wear it as a jewel,for your own pleasure,being sure of yourself. Beautiful,but i guess i could never wear it. Sisonne: Dear V, wonderful review – as always 🙂 ! BoisdeJasmin: Barry, thank you. It is rather dreary here too. annE: Good morning, V, and thank you for another wonderful review. I have never tried Vega, and I must now certainly add it to my list, since the category of classic aldehydic floral is one of my favorites. However, I think it may be a little too powerful for people who love soft citrus oriented perfumes or even transparent florals. 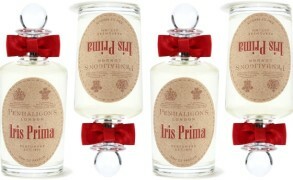 mreenymo: I agree with Robin, V. I do hope these classic Guerlains end up here in the states. Otherwise, your reviews, though beautiful, make perfume fanatics like myself frustrated with envy. LOL! BoisdeJasmin: L, you are back! It is a beautiful fragrance, although yes, if you are not into aldehydes, you probably will not care for it. BoisdeJasmin: Cait, thank you. I know that Vega is the fifth brightest star in the sky, and that the name means “stone eagle” in Arabic. BoisdeJasmin: R, I hope that they will end up in the States soon. I would have loved all of these fragrances to be much easier to find. Qwendy: You know, Vega could have been called FlowerBomb! I loved it when I tried it in the boutique Paris in September, and I’ve been thinking about it ever since. It’s nice to have my sense of it backed up by you, with your keen scentsibility and elucidation of the notes, which my nose doesn’t “do.” Now that I read them, along with your interesting description of how they work together I know why I loved it, it’s everything I want in a scent, and to keep the wine analogy going, it’s “big.” Now I’m not an big aldehyde fan at all and I must say that they were not in my way at all when I covered my arm with Vega. I would have bought it, but I decided on Vol de Nuit Extrait instead, which, luckily, I don’t regret! BoisdeJasmin: Wendy, so true! It is indeed a flower bomb. The explosion of ylang ylang, neroli and then all of that lush jasmine is just wonderful. I would have made the same choice as you did, but like you, I would find that the bottle of Vega is a must. I love that the drydown has so much warmth to it, and it is what makes Vega unusual. Well,i really felt it was a strong aldéhydic perfume. julien: Well,i really can’t bear Arpège. julien: And we are to young to know the real VEGA. The reeditions are not completely the same as the perfumes were before. I don’t know if it is going to last…but i would love to.